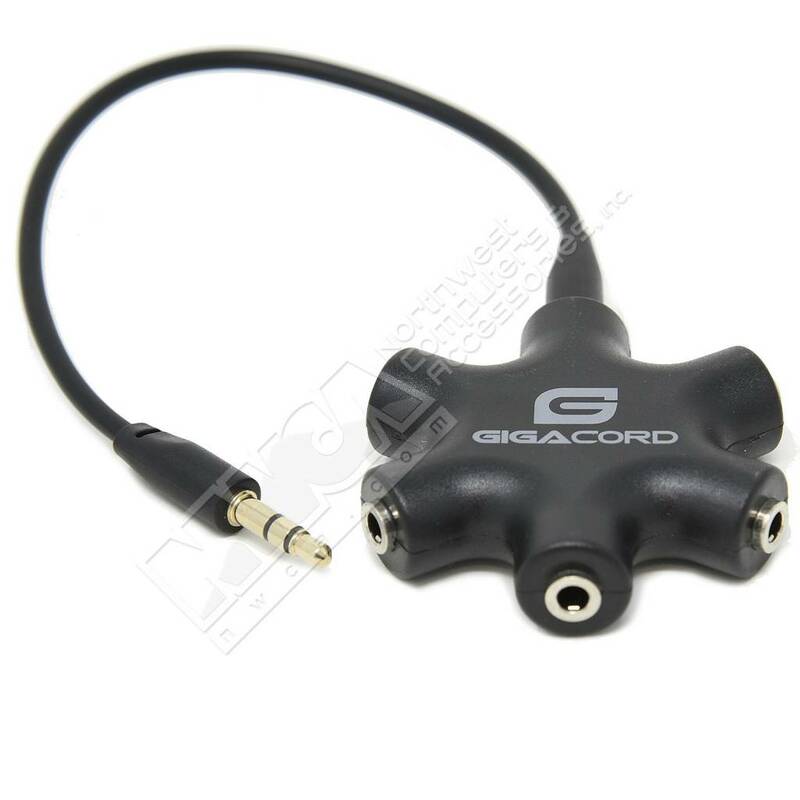 Gigacord 6-Way Hub Multi Headphone 3.5mm 3.5" Splitter 6Port Audio Cable Jack Headset Hub Adapter with Cable Black - NWCA Inc. 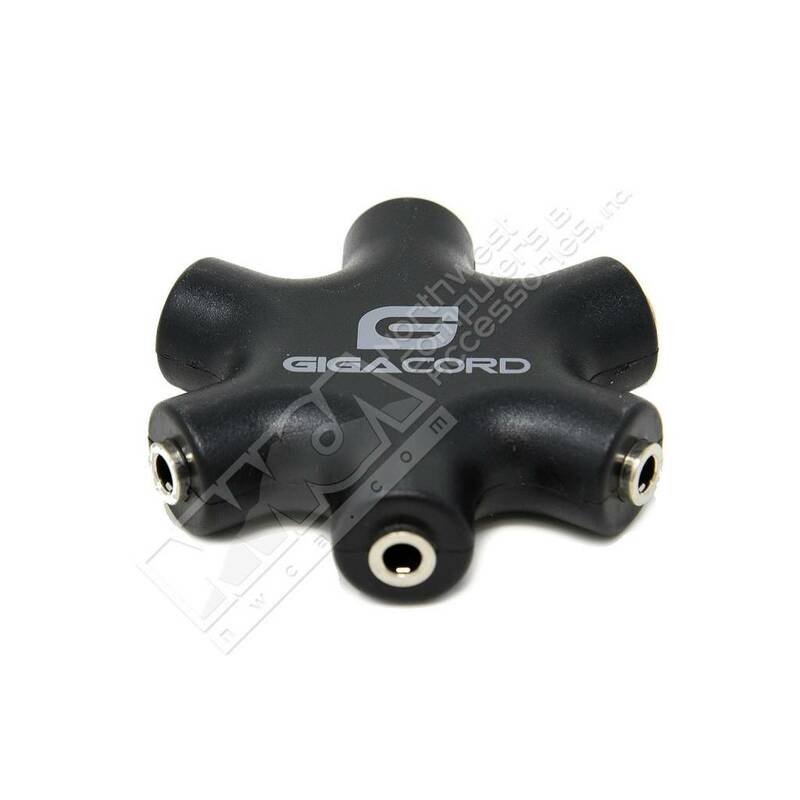 Specifications: Can make the MP3, CD, MD, mobile phone, walkman, computer and other connecting multiple headphones, for people to enjoy. Let the speaker and Headset connected at the same time, easy to use. Lets you access the speaker and Headset (for a two channel stereo), and the realization of the free conversion between. Quality is absolutely make you satisfied!